i=ly=l where £|. = 1 if the elevation of one of the observations in the /th bin is within S2 of the elevation of one of the catalog stars in theyth bin, and is 0 otherwise. This technique should be used only as a last resort because it involves the repeated use of one of the other matching techniques and is therefore very costly in computation time. No knowledge of the initial attitude is required, but any information available can be used to limit the number of attitude guesses that must be tried. However, the observation frame must be undistorted to the extent required by the identification technique that will be used. To implement the discrete attitude variation technique, create an array of trial attitudes such that no possible attitude is more than e angular distance from one of the discrete trial attitudes in the array. For each trial attitude, apply any of the other identification techniques described above. The attitude that gives the highest score is taken to be correct. Because the number of possible attitudes may be very large (e.g., if c = 1 deg, there are over 40,000 of them), refinements to the technique which cut down the number of guesses are critical. For one such refinement^ assume that no informa tion is available concerning the initial attitude and that the number of catalog stars is much less than the number of discrete attitude guesses that are possible. Provided that any given observation is very likely to correspond to one of the catalog stars, then a substantial savings in computer time can be realized by assuming that the observation matches each catalog star in turn. For any given catalog star, this determines two of the attitude axes; the third is discretely estimated as above. Each catalog star and third-axis attitude is tried until a sufficiently high score is attained. This refinement is very powerful if it is possible to narrow the field of candidates in some way for any one of die observations. For example, if some brightness information is available, the brightest observation might be used. The star catalog candidates for this observation are then limited to only the brightest stars, thus proportionately decreasing the number of attitude guesses that must be tried. As described in Section 6.5, gyroscopes form the major component of inertial guidance systems, which are used extensively for attitude propagation and control. This section describes mathematical models for the estimation of spacecraft angular rates from gyro measurements, the simulation of gyro outputs from true spacecraft angular rates, and the modeling of noise in gyro outputs. 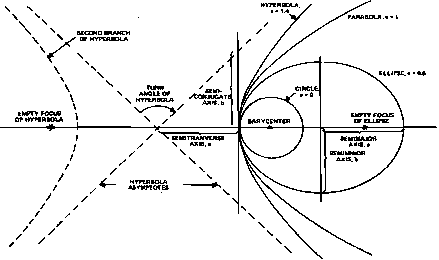 We are concerned primarily with torque rebalanced single-degree-of-freedom gyros and draw largely on analysis performed by the TRW Systems Group for the High ■Energy Astronomy Observatory (HEAO) missions [McElroy, 1974]. The notation of Section 6.5 is used throughout. where K, is the rate-integrating scale factor. The interval, St,, typically in the" 200-to 500-ms range, must be chosen such that 9, remains small. In high angular velocity environments, such a choice may not be practical, and errors in the computation of result if the gyro's input axis moves significantly within St,. A more sophisticated algorithm given by Paulson, el a!.,  reduces errors due to this effect. The spacecraft's angular velocity a, in the direction of the gyro's input axis is related to the gyro's measurement of this quantity w* by the following model from Iwens and Farrenkopf . where /c, is a small correction to the nominal scale factor in Eq. (7-132) or Eq. (7-133), because KR and K, are not precisely known; bt is the drift rate; and n, is white noise on the gyro output. In torque rebalanced gyros, b, represents a null shift in the torque rebalance control loop which generally is not constant but may be influenced by gyro noises and systematic effects. Modeling of gyro noise sources is discussed in more detail in Section 7.8.4.
where <o is the true spacecraft angular velocity vector.